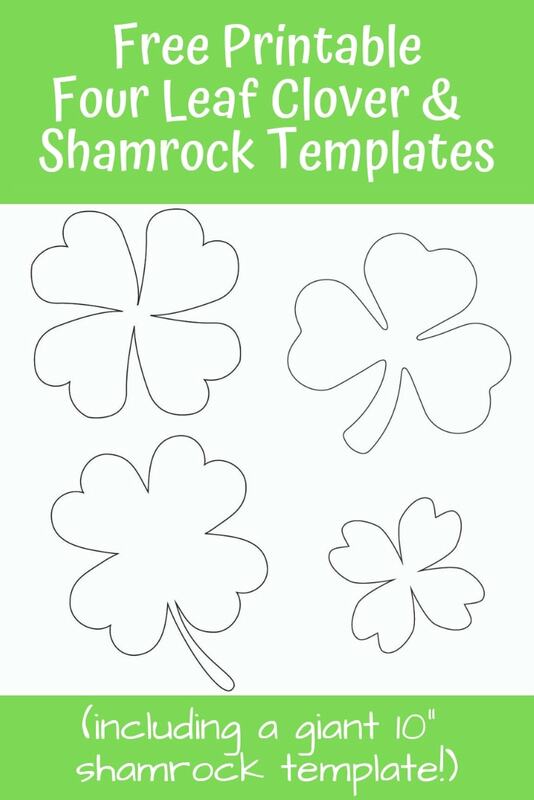 This epic collection of free printable circle templates has 15 sizes of circle pattern from 1″ up to 16″!!! Raise your hand if you’ve ever gone around your kitchen measuring bowls trying to find one that was just the right size for a project! 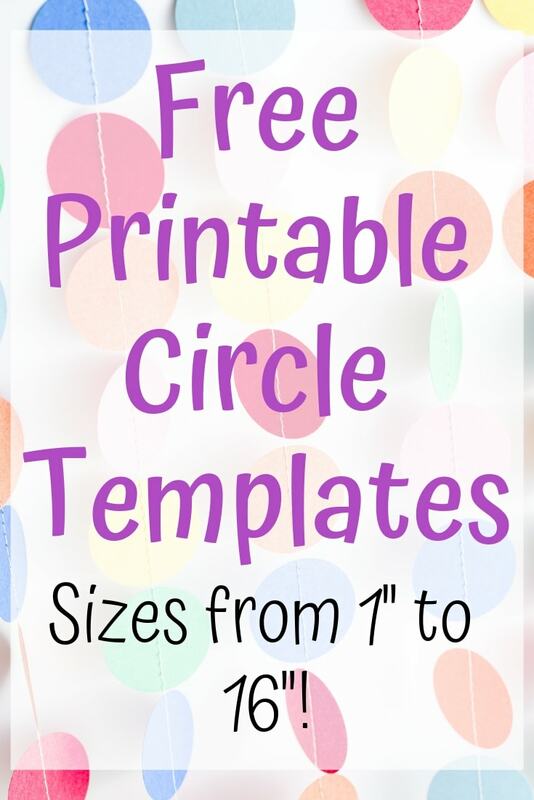 With these free printable circle templates, you won’t have to do that any more! 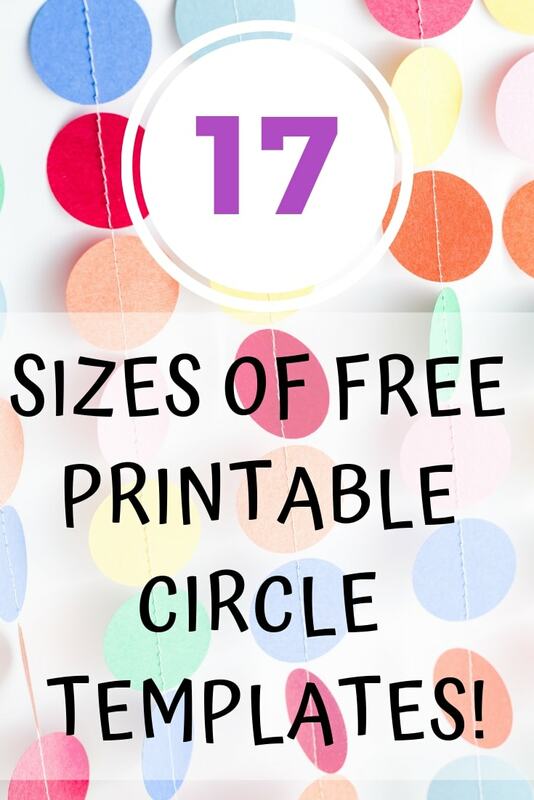 Today I’m sharing a crazy large variety of circle templates, as well as tips for how to use these circle printables, that will save you a lot of time and hassle in the future! Use them patterns to make your own reusable beeswax wrap. Grab your sewing machine and stitch them to make a sewn circle garland. Don’t have a sewing machine? Fold circles in half over a piece of baker’s twine and glue them to create a cute and super easy bunting! 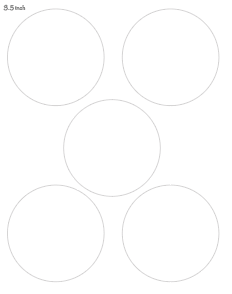 Use smaller circles as homemade game pieces or play money. Use several sizes of circle for kid’s crafts like a circle penguin, circle frog, or caterpillar. Cut a circle out to create a circle pattern for stenciling. 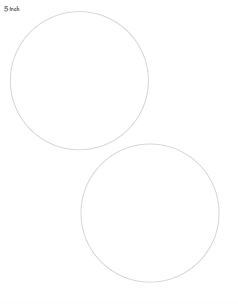 If you enjoy these circle templates, please consider a small donation to help support my blog! You can quickly and securely make a contribution using Ko-fi. 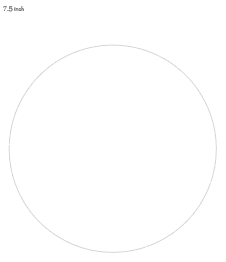 Before we get into the circle templates, I want to let you know that the smallest circle is 1″. If you need to make just a few circles smaller than that, try scaling down the print out. 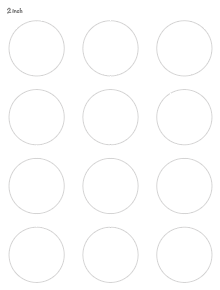 For example, for 1/2″ circles, simply print at 50%. 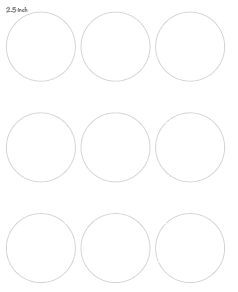 If you need to make a lot of circle cut outs, look for a circle punch. I’ve done a whole lot of crafting in my life – trust me when I say you do not want to cut out a zillion tiny circles by hand! 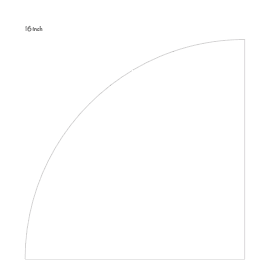 Even a 1″ size becomes, quite honestly, pretty tedious to cut out in quantity! 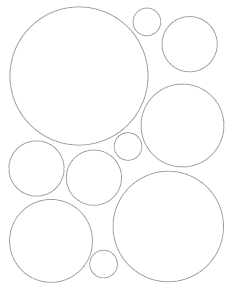 If you think you’ll need a lot of 1″ circles, I really recommend just getting a circle punch. You can also find larger circle punches. I’ve used my 2″ punch a lot of homemade gift tags over the years. It probably isn’t worth if for a one-off project where you just need a few circles, but if you anticipate cutting a lot of circles for projects, a DIY wedding, etc., it is totally worth a few dollars. Please make sure to follow the links to download at the PDF printable circles. Do not right click and save the images – they are very low resolution and will not print well. Many home printers today can print with margins as small as 1/4″ (a lot of printers geared towards printing photos can even print borderless!) 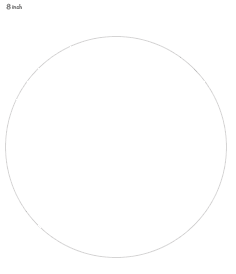 Assuming you can print with a .25″ margin, this large circle template should be 8″ across. 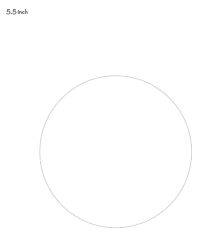 If you have to print with larger margins, the circle will be slightly smaller. Need a larger circle? No problem! 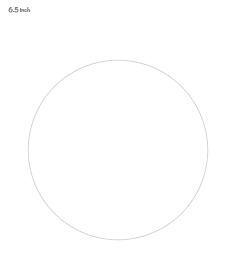 This template creates a circle up to 10 inches across! 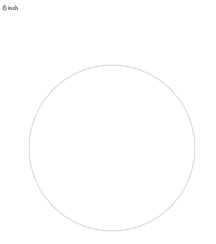 Cut it out, trace it, then flip the template to create the second half of the circle. You can also print two and tape them together, if you prefer. Still not big enough for you? 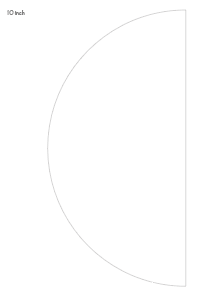 This circle is an enormous 16″! Only one quarter of it fits on the page, so I highly recommend printing at least two copies and taping them together. Printing four copies and taping them together to form a circle will lead to more accurate results. 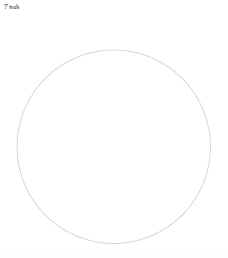 Enjoy your extra large circle template! 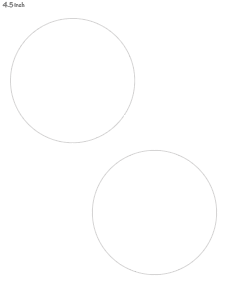 Don’t want the hassle of downloading all these circle templates individually? 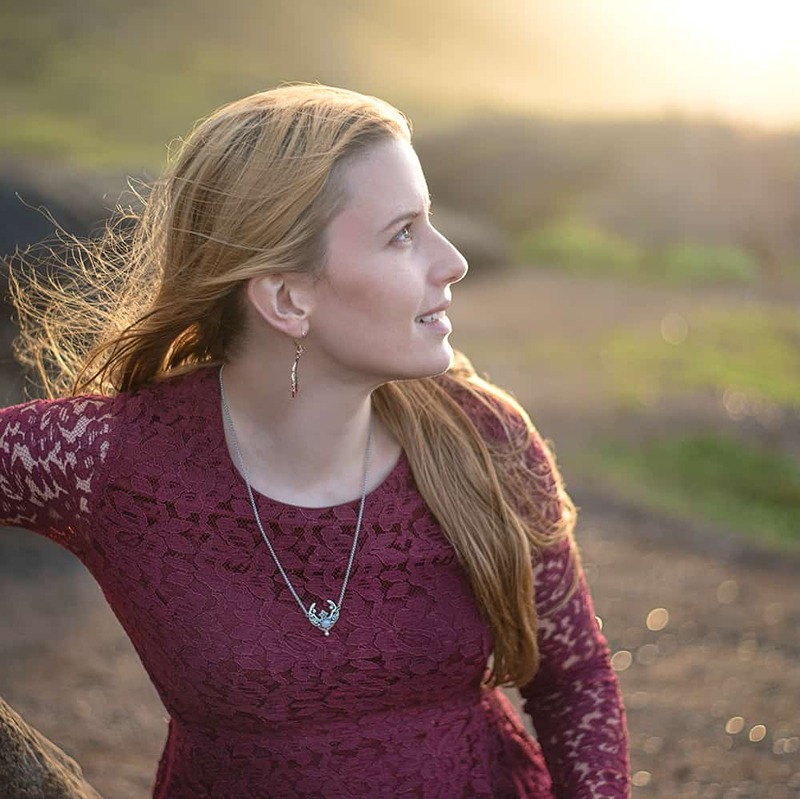 One PDF document with all of the pages is available in the Member’s Resource Library! 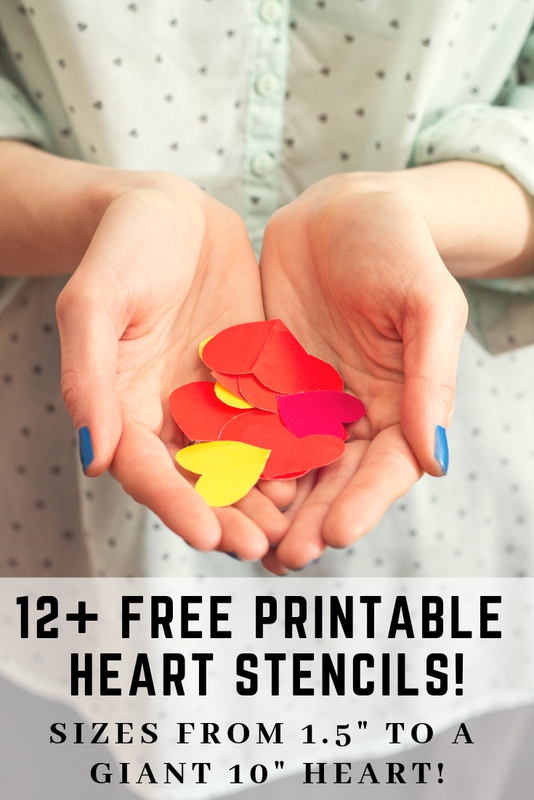 You’ll also receive access to lots more exclusive free printables! 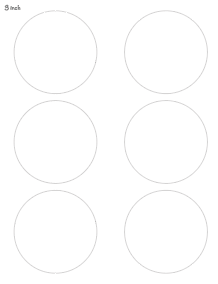 And, finally, a selection of different sized circles on the same page! 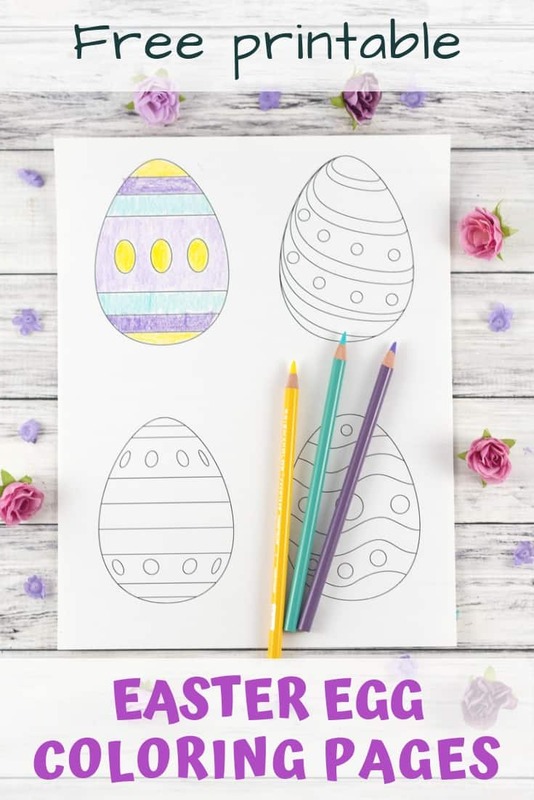 This page has 1, 2, 3, and 4 inch circles together for easy use with crafts and other projects that need multiple sizes of circle template! 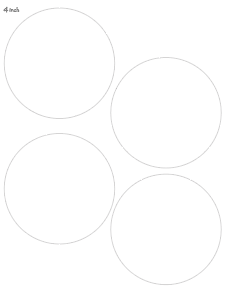 If you enjoy these circle templates, please become an Artisan Life subscriber! There are more great free printables in the member’s only Resource Library and I add more printables all the time! Next post: Why Is it Hard to Be Grateful?